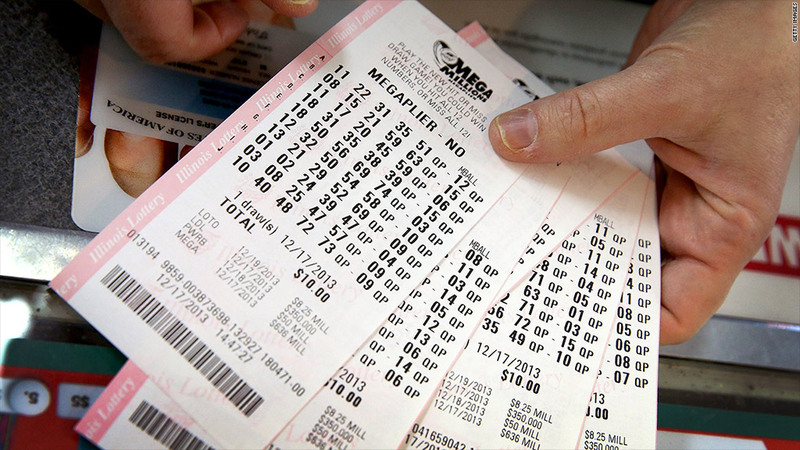 Millions of with lottery tickets worth billions in prizes go unclaimed each year. Stashed in desk drawers, the tops of dressers, under refrigerator magnets and in piles of accumulated scrap paper lie millions of winning lottery tickets worth billions of dollars. Brett Jacobson knows that better than anyone. The creator of a smart phone app that alerts people if they have a winning lottery ticket, Jacobson filed public records requests with lottery commissions around the country to find out just how many prizes go unclaimed. The total is astonishing: $2.04 billion went unclaimed in 2013 alone. Since each state runs its own lottery independently, the nationwide total had been a mystery until now. Lottery officials have estimated in the past that unclaimed prizes nationwide might approach $800 million annually. Most of the winning tickets are worth only a couple of bucks, maybe $50 or $100 each. Many are $2 or $4 winners. But there are plenty of tickets worth thousands, even $1 million or more that never are turned in. And Jacobson says that the annual total is likely to only grow larger. "They're selling more and more lottery tickets every year," he said. "People don't even realize there are secondary prizes." Jacobson said he decided to create the app when he and a group of friends rounded up a bunch of old lottery tickets and took them down to the corner store to see if they had any winners. "We had something like $200 in winning tickets. But all but $51 of that had already expired. That was the impetus," he said. The app, Lotto Lotto, allows lottery players to take a picture of their tickets in order to record their numbers. If the lottery was already held, it'll let them know of any prize on the ticket. If the drawing hasn't happened yet, the app will send an alert if it's a winner. The app is free. Jacobson makes money with payments from retailers who sell lottery tickets. The app tells users where they can buy tickets, and can also alert them when jackpots reach a level at which they'll want to buy a ticket. And the retailers also benefit when the apps' users find out about a winning ticket, Jacobson said. "The retailers and even the state lotteries want people to cash in secondary prizes," said Jacobson. "You're not going to take $4 and go home. You going to buy more tickets."